Bathinda District of Punjab State was part of one of the oldest civilizations of the world the great Indus Valley Civilization. The district has witnessed many ups and downs of the various rulers and dynasties who ruled Bathinda. Though Bathinda was part of the princely State of Patiala after independence of India, it became one of the pioneer places of India that helped in accelerating the post-independence industrial growth of India. Bathinda has become center of many industrial developments and it prides itself in having fertilizer plant, oil refineries and thermal power plants. Guru Nanak Dev Thermal Power Plant in Bathinda is one of the best examples of how the district has excelled itself in reaching the heights of industrial growth. Guru Nanak Dev Thermal Power Plant Bathinda was set up to fill in the gap between the demand and supply of electricity in major parts of Punjab. The main requirement of power in Punjab was for irrigation and when this thermal power plant was set up in Bathinda it could meet up the huge power demands of the state. 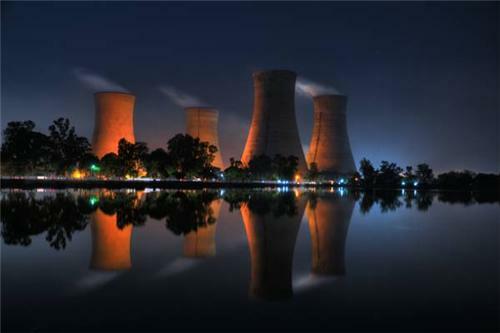 The foundation of this thermal power plant was laid in 1969 on 19th November. The occasion of was the 500th birth anniversary of founder of Sikhism, Guru Nanak Dev Ji. The power plant is located on the Bathinda-Malout Road. The 1st unit of this plant started working in 1974 in the month of September. The second unit started working in 1975 September, the third unit started working in March 1978 and the fourth unit started working in 1979 January. The power supplied from this power plant mainly meets the industry and agricultural needs of the state. Apart from meeting up the electrical needs of the state, Guru Nanak Dev Thermal Power Plant has become an important attraction for the locals as well as tourists. The lakes of Thermal Power Plant are visited by many people daily. They come here to enjoy the serenity and cool and pleasant weather. Boating in these lakes is a favorite pastime for the visitors here. Like rest of India, the population of Punjab also kept on increasing day by day and thus it created a very wide gap between the demand for the power and availability of power. This is the most important reason why Guru Nanak Dev Thermal Power Plant was set up in Bathinda, Punjab. 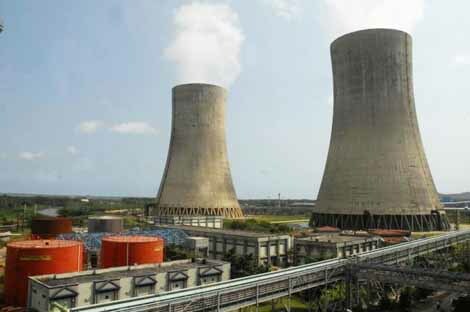 Bathinda was the favorite choice for setting up of this thermal power plant because this district has well-connected railway links with other parts of Punjab and most of the north India. Bathinda is well-connected with the rest of India as well. Well established railway links ensures smooth and fast transportation of fuel (coal) for power generation. The availability of canals in Bathinda District Guru Nanak Dev Thermal Power Plant is the first thermal project of the state. Bathinda was chosen because the initial cost of setting up of the thermal project was low as compared to many other places and the gestation period of the project was also less as compared to other power generating units. The 4 units of this power plant produces 110 MW each thus in total the production is about 440 MW of power. The total cost of setting up this power plant is Rs. 115 crores. GNDTP is a thermal power plant that is mainly a coal-based thermal plant. The coal used for the thermal plant come as large pieces which get reduced in size when put into primary crushers. The coal that is reduced into size is sent to the secondary crushers so that these pieces could be further broken down into small size of about 20 mm as needed by the plant. The coal is then sent to the boilers and it is burnt in there. There are pipes within the boiler which carry water. Due to combustion of the coal, the heat is produced and the water inside the boiler pipes changes into steam. This steam then runs the turbine. As the turbine starts rotating, the generator shaft is also rotated. In this way, electric supply is produced into three phases.